This post is sponsored by Dancing Deer Baking Company. All views expressed are that of our own. The holidays are quickly approaching and all I can think about is planning what sweets I will have on my holiday spread this year. I have probably tossed around 20 baked goods, but need to narrow it down to 8. Do I want to make pies, cookies, brownies, and truffles? To be honest? Not really! I much rather buy a bunch from Dancing Deer Baking Company which is local (Boston Based), and call it a day! 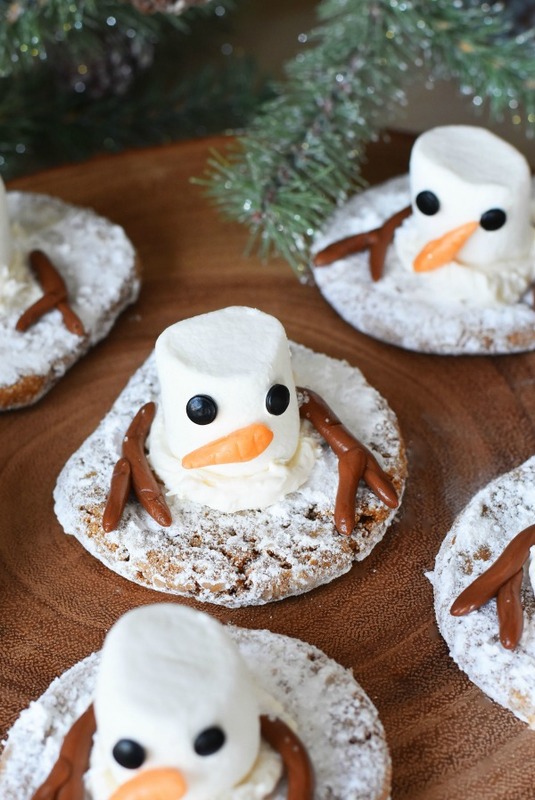 See these adorable Melting Snowman Cookies? I like to think of these as a hack since I did not have to bake a thing for them! I used Dancing Deer Baking Co. Molasses Clove Cookies. 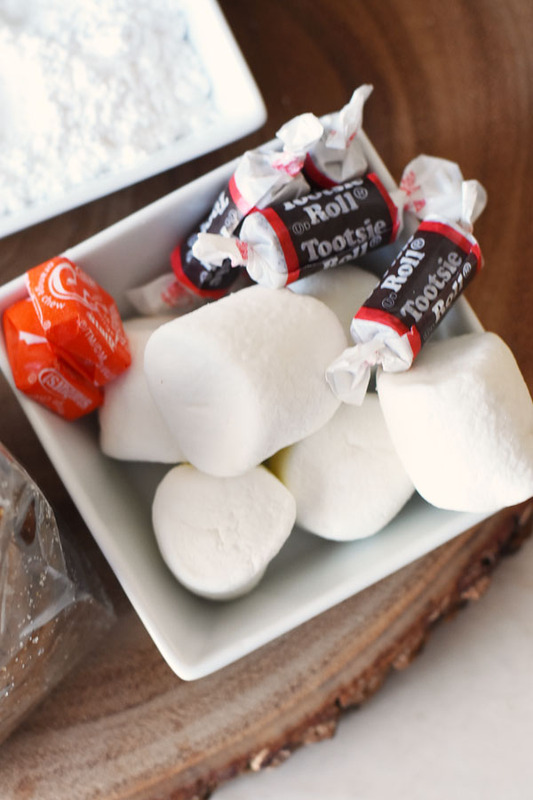 With a little help from some confectionery sugar, white candy melts, taffy candies, marshmallows, and button eyes I made these adorable kid-friendly cookies that hold up surprisingly well. The best part? 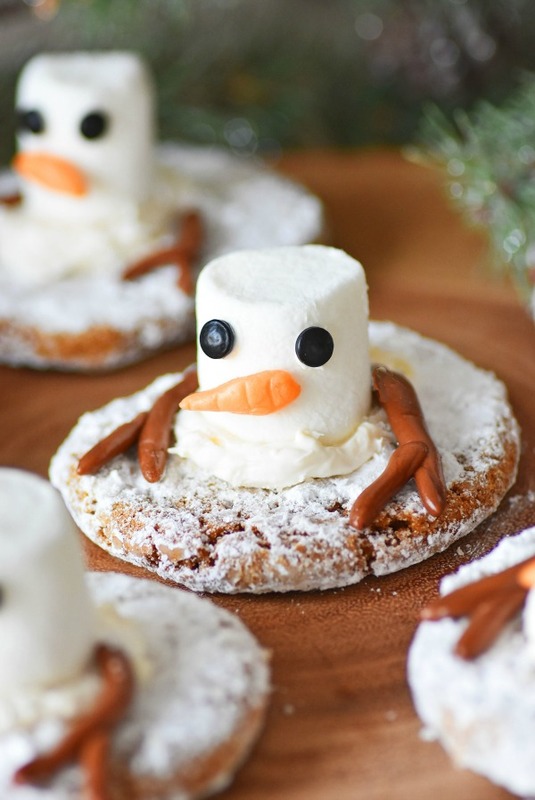 These Melting Snowman Cookies are pretty darn quick to make and the kids can help out! My kids are little dough masters so they loved to help me sculpt these candy arms, carrot noses to make them really stand out. All the ingredients are edible, but the best part was the cookie. Holy deliciousness! Dancing Deer Baking Co. makes quite possibly the BEST Molasses Clove cookies EVER! They are soft, chewy, and have just the right amount of spices. Using your toothpick, dip it into the remaining white chocolate and use it to adhere the button eyes. Lastly, sculpt your chocolate taffy to resemble branch hands. You will need one longer piece, and a much smaller piece to brand off. Once you are done, sprinkle the cookies with white sugar glitter and you are all set! To learn more about how Dancing Deer Baking Co. can cater your Christmas or holiday party check out their site. Their products are also available in-store at your local grocery or specialty food store. You can also see why they would make a great place for co-worker and business gifts by visiting their site and browsing around. 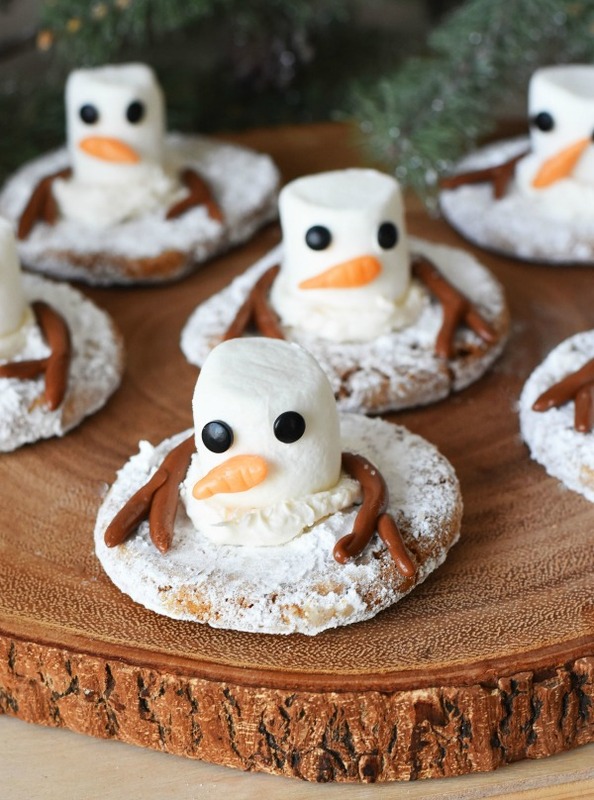 Will you be making this Melting Snowman Cookies Hack? OMG, those are too cute! I love that idea. It’s so perfect for the holidays, and they sound super tasty, too. How adorable are these? Those molasses cookies look so darn good! Those are so much fun!! How easy it is to use a premade cookie. Now you’re speaking my language! Something that is this easy and ridiculously cute I’m going to have to make. I’m just glad I don’t have to do so many steps. Those are so much fun!! How easy it is and you don’t even have to bake the cookie! Love it! These cookies are so cute. I will have to pick up some Dancing Deer Baking Company Molasses Clove Cookies so I can make these this weekend. My kids are going to love helping me make these cookies. I hope mine turn out as good as yours did. 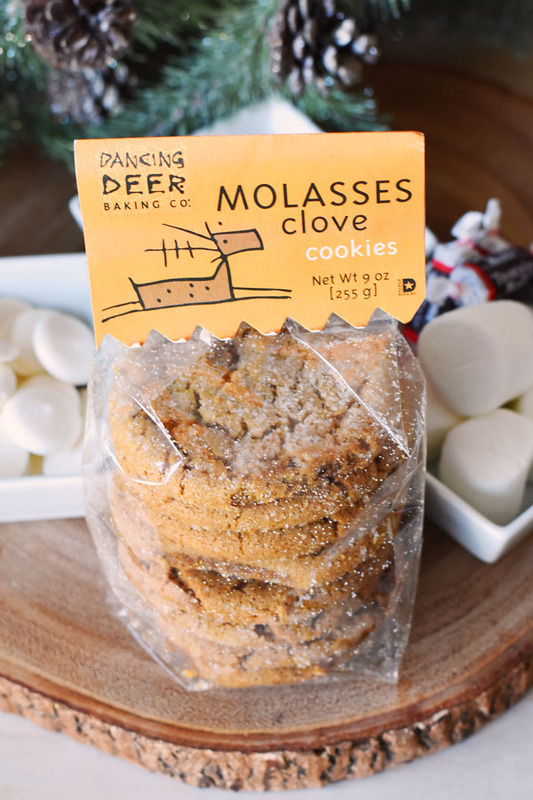 The Dancing Deer Baking Company Molasses Clove Cookies look so delicious. I would love to give them a try and make this recipe. These are so cute! I love your hack idea. 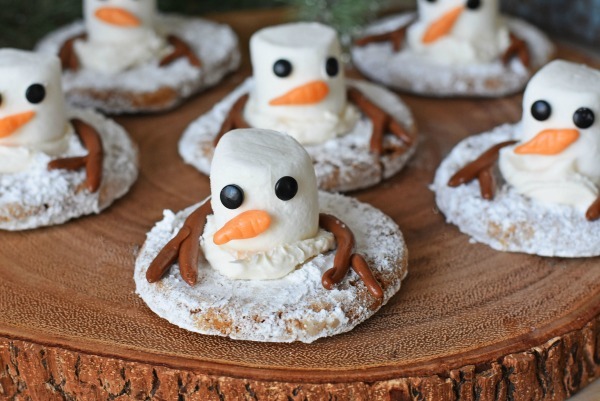 I don’t have a lot of time for baking, so these snowmen are perfect. These are absolutely adorable. It’s a great idea to have the kids help with these. Oh my gosh, these are seriously darling. My kids would go crazy for these, and I love the premade cookie idea, makes things so much faster! My kids would have such a great time whipping these up with me! Can’t wait to get all these ingredients and try this recipe at home! Thanks for the inspiration! omgg how cute and creative. i love it.